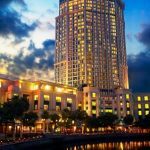 Grand Copthorne Waterfront Hotel, an award-winning 5-star hotel overlooking the Singapore river, wants to help its guests “Live like a Local” through a year-long campaign of weekly experiential local tours and monthly workshops designed to showcase the rich tapestry of Singapore’s sights, tastes and sounds from the locals themselves.Come 1 December 2018, across a period of one year, international travellers and local staycation guests are in for a treat when they book their stay with Grand Copthorne Waterfront Hotel in Singapore. Happening every Saturday with compliments from the hotel, embark on a half-day tour at one of Singapore’s oldest housing estate—yet undeniably one of the hippest neighbourhood—Tiong Bahru. Immerse yourself in the seamless blend of contemporary and traditional elements in this charming neighbourhood – from hand-painted wall murals to oldschool local pastries from a fourth-generation bakery. In addition, on every first Saturday of the month, guests can participate in a calendar of hands-on activities and workshops curated both in accordance and celebration of the Singapore’s cultural festivals. The ‘Live Like a Local’ campaign is supported by Singapore Tourism Board’s ‘Experience Step Up Fund’ (ESF) that encourages experience development projects that enhances visitors’ experience and satisfaction in Singapore. Live like a Local will take place from 1 December 2018 – 31 November 2019. 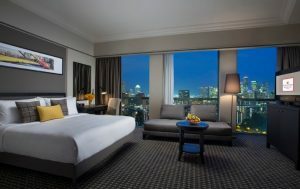 Tours and activities are complimentary for in-house guests of Grand Copthorne Waterfront Hotel Singapore only. Please refer to the attached annex for more information on the heritage tour and activities.